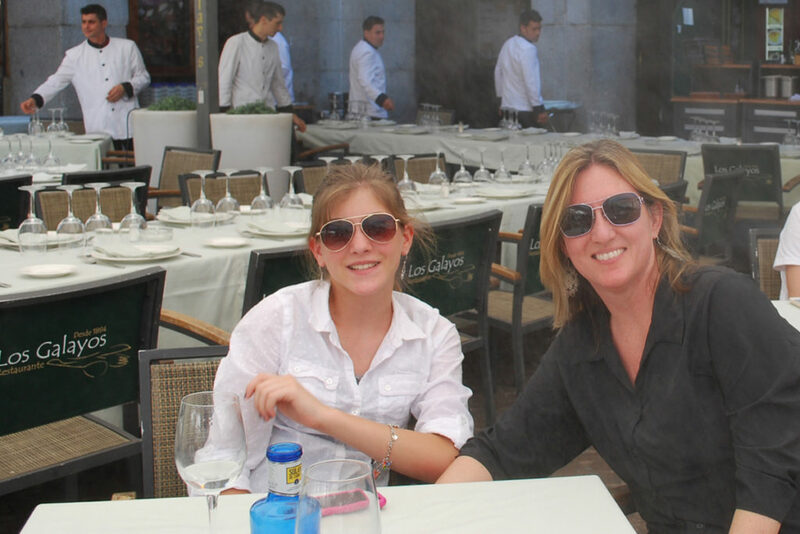 Brooke and her mother in Madrid in 2013. When I was 12 years old, I made an unlikely friend from halfway across the world. It was the middle of July, and my mother and I were about to take an overnight train from Paris to Madrid. I had never spent the night on a train before, so I was ecstatic to embark on my new adventure. As we walked along the crowded, noisy platform, my mom explained we would be sharing a room with other people. I wasn’t worried; if anything, I was excited to meet someone from a different country. We boarded the sleeper train and made our way down the narrow hallway in search of our cabin number. When we found it, we opened the door to a cozy room with two sets of bunk beds and a window. A young woman was seated on one of the beds. She was wearing a black and gold hijab and a long dress that went down to her feet and covered her arms. She smiled, waved to us and started to speak in Spanish, which my mom and I hardly spoke. We attempted to introduce ourselves, but quickly realized she didn’t speak English. My mom gestured and said “America,” and the woman responded, “Türkiye.” We put our luggage up on the shelf and sat on the bed across from her. Before long, we were smiling, nodding and laughing, all without speaking a word of the same language. Through pictures and gestures, we deduced that she was from Turkey and traveling to Spain to visit family. Despite our language barrier, the girl and I connected in an instant. We stayed up late giggling and wandering around the train together until it was time to go to bed, and even then we couldn’t stop talking. It was like I had found a long-lost sister. 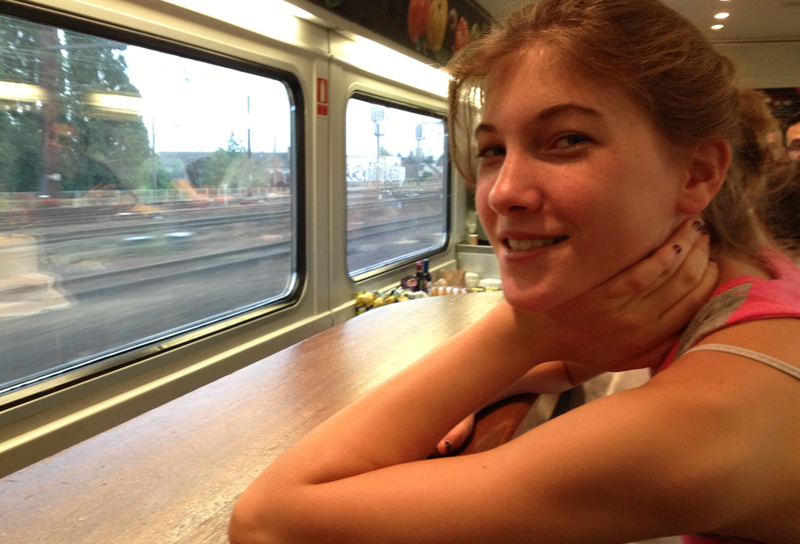 When the train pulled into Madrid the next morning, we packed our things and said our goodbyes. As I was walking out the door, she stopped me, reached into her purse, and pulled out an intricate bracelet made of black and white beads. She motioned for me to put it on and said, “Para ti.” We hugged and went our separate ways. I wore that bracelet for months; it was my favorite souvenir of the trip. That was the summer of 2013. The world feels like a different place now, perhaps because I’m older and more aware of news and events. Terrorist attacks by Islamic extremists have become a regular occurrence in Europe and around the globe. In the United States, we have had attacks and hate crimes against Muslims. People are divided and polarized over cultural, political and religious differences. I see it in social media, and I hear it in everyday conversation. I sometimes wonder if being confined to a train cabin for hours would help people find common ground and understand each other better. If they could communicate honestly, rather than rush to judgment based on limited information or appearances, maybe their differences would be valued rather than feared. When I think about that train ride, I feel somewhat enlightened because I wasn’t afraid to trust a stranger, who happened to be a Muslim girl, and the result was a genuine human connection that essentially nullified our differences. I don’t know if I would be as instantly comfortable in the same situation today, but I like to think that I would because that’s how peace begins. Prev Article Prev Article Breathtaking Burials: Bogus or Believable?